A hands-on review of a device that allows you to get directions and receive messages projected onto a transparent screen on your dash. Earlier this week, I came home and found a box on my porch. Inside was something I had pre-ordered 22-½ months ago. It’s been almost two years. 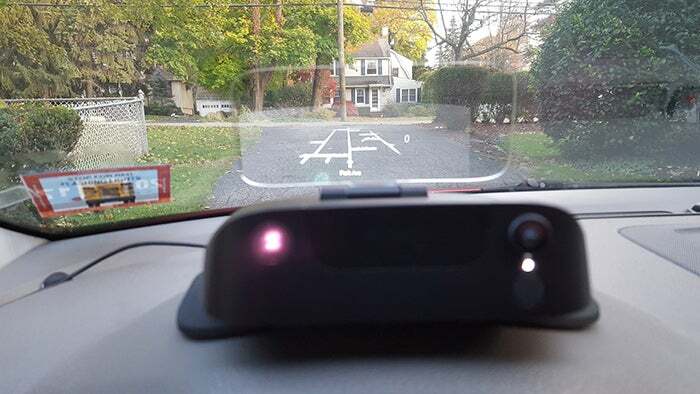 The item in question is Navdy, a $800 head-up display (HUD) that pairs with your smartphone to show driving directions, text messages and phone calls on a transparent screen on your dash. Navdy’s maps appear as though they are projected onto the road in front of you so there are no visual obstructions. Calls and messages are managed using simple hand gestures. It makes virtually any car smart. I thought it sounded like a smart idea when I placed my pre-order in mid-December 2014. At that time, Navdy was supposed to ship in the first quarter of 2015. Here we are, early November of 2016. So, I asked Navdy founder and CEO Doug Simpson what the heck the deal was. So, with excited hands, I unboxed Navdy and put it through its paces. Here’s a rundown of my experiences and observations over the last few days. Navdy finally arrived -- two years later. 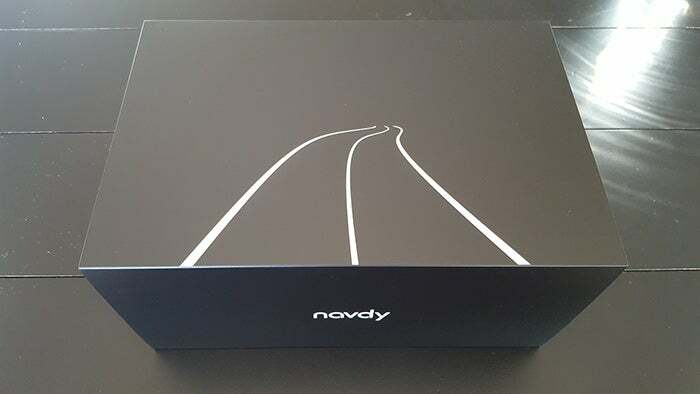 Inside the box is the Navdy display, three dashboard mounts (shorter to taller, depending on your needs), a dial that attaches to your steering wheel and allows additional control of the device, and a power cord, among other things. You can have Navdy set up in minutes -- maybe 30 at most. Download the Navdy app from Apple’s App Store or Google Play and watch the simple how-to video. 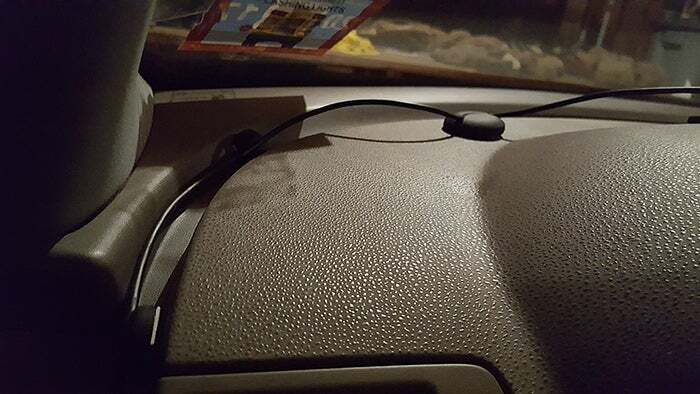 Once the dashboard mount is adhered, attach the power cord and plug it into your OBD-II port. Navdy comes with clips to conveniently run the power cord from the mount, along the back and side of the dashboard, out of the way. The adhesive on my clips unfortunately was not sticky. Luckily, I had some double-sided mounting tape laying around and used that. We’ll see how long those clips stay put. Clips keep the power cord neatly out of the way. Chalk it up to early days using the device, but Navdy monopolized my attention on a recent nighttime drive to a nearby hardware store. Toggling through music, accepting a phone call and searching through the interface was probably too much to do while trying to keep my focus on the road and Navdy's directions. For instance, when the call came in from my friend Alex, I was so interested in accepting it and adjusting the speaker volume on my phone that I missed my exit off the highway. Immediately after hanging up, a text came in on Navdy's display from Alex. "Don't crash," he wrote. Thanks, buddy. That said, once you boot up the display and have it paired to your app, adjust your screen angle (so the images are projected evenly on the screen) and you’re ready to rock. The display is only visible to the driver. By default, Navdy is set to automatically adjust the brightness, though you can manually change it, too. I used Navdy during the day in full sun and at night, and had zero complaints about the clarity. Via the app, you can search for destinations and set favorite places (work, home, etc.). The display shows your speed as well as your ETA. The app saves your recent destinations. Navdy doesn’t have a speaker, so your turn-by-turn audio directions are played over your phone or your car speakers, if you have Bluetooth pairing. The street grid appeared right after Navdy booted up. I have to admit, the woman’s voice who reads your directions isn’t friendly. She sounds impatient. Sheesh, OK, I’ll turn left already. Bring it down a notch. Because Navdy is plugged into your OBD-II diagnostics port, it can tell when you’re low on gas and will direct you to the closest gas station. Navdy uses Google Maps as well as offline maps, which means you won’t get lost even if you’re in the middle of nowhere and your phone loses signal. Just like the maps on your phone, Navdy will reroute you if you miss a turn. I know that firsthand. The display wasn't visually distracting to me. It’s much better than having to look down at your phone and taking your eyes off the road, or mounting your phone or a GPS to your windshield, partially blocking the view. No more fumbling with your phone whenever you get a call, text or other notification. If you’re a stickler for safety (as you should be), say goodbye to the days of completely ignoring your phone when behind the wheel. Navdy will alert you on the display when you receive a call. You can use hand gestures or the dial strapped to the wheel to accept or dismiss it. As with the audio directions, calls will utilize the microphone and speaker on your phone. You’ll also be notified when you get a text, and Navdy can audibly read your messages if you choose. You can even respond with canned responses. Canned messages can be convenient responses. While it might be tempting to send notifications from Facebook and Twitter and Slack and WhatsApp to Navdy, stick with only what’s most important. Otherwise, you’re focusing on managing notifications that can wait until later. Navdy can also control music that you play on your phone. I fired up Pandora and played the Outkast station. I was able to pause or skip forward. Unless you do it directly on your phone, you have to scroll through several steps in Navdy’s interface to un-pause your music. Not exactly convenient. I had to wait nearly two years for Navdy to arrive. Turns out, it was worth the wait. Other than a couple of minor complaints, Navdy over delivers. This thing is damn good. And convenient. But is it worth the price tag? I paid about $320 to pre-order Navdy. Today, the device is retailing for $800. I can’t say that I’d shell out that much money now. But if you do a lot of driving (which I don’t) it could certainly justify the cost. I’m fairly confident that over the coming weeks, as I get more accustomed to Navdy, it ultimately will make my driving experience safer. Afterall, that’s the reason I bought it two years ago.